Taking control over the game guarantees final success. You can do it step by step or by surprise, acting with the power and precision of a hurricane. For the fans of such solutions, Fury prepared Hurricane keyboard type TKL. Compact size, advanced functionality, anti-ghosting and solutions increasing the comfort of the game constitute main reasons why it is worth to have Hurricane by our side. Fury Hurricane represents TKL keyboard type, which means that it has had its numeric section removed. In this way, it is more compact, matches every desk and is perfect for all types of LANs and tournaments. Smaller dimensions do not equal fewer functions – Hurricane has everything one needs to win. 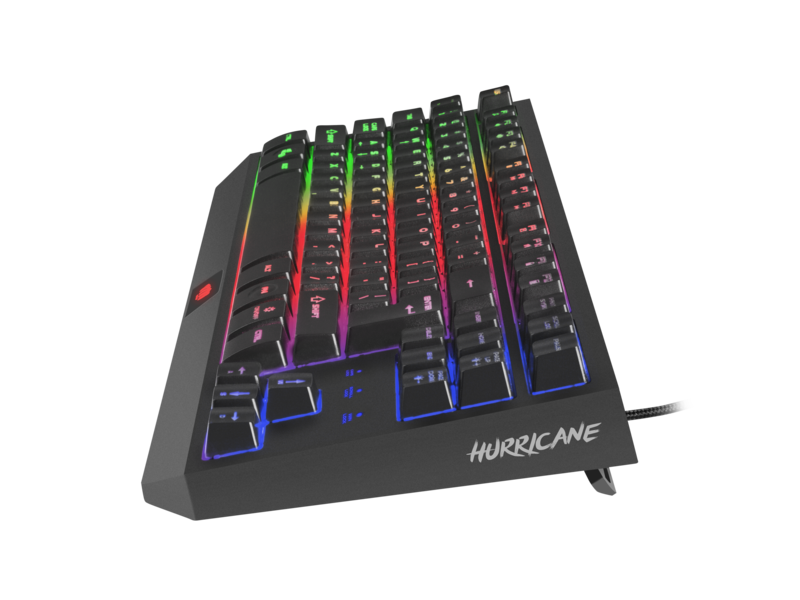 Hurricane keyboard consists of 87 keys characterized by fast reactivity and quiet work. 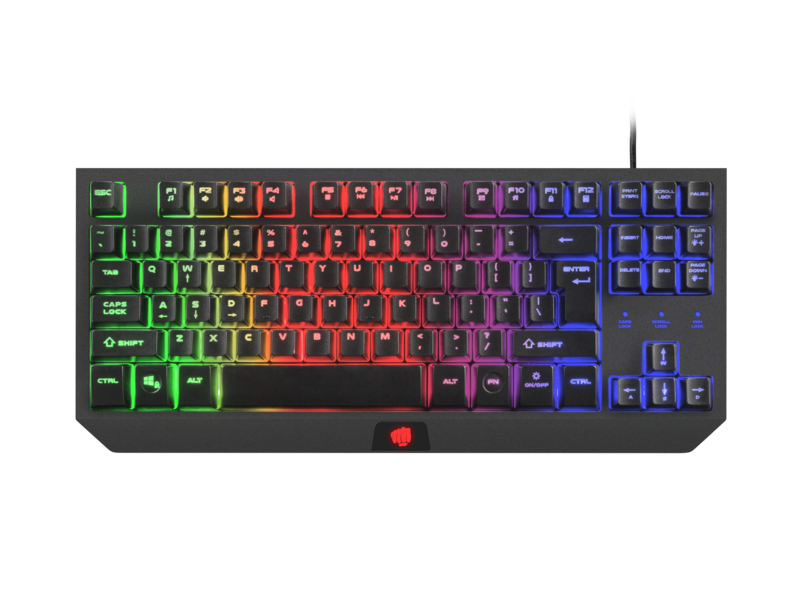 What is more, the players gain the opportunity to control multimedia and several important system functions with the use of function keys (F1 to F12). 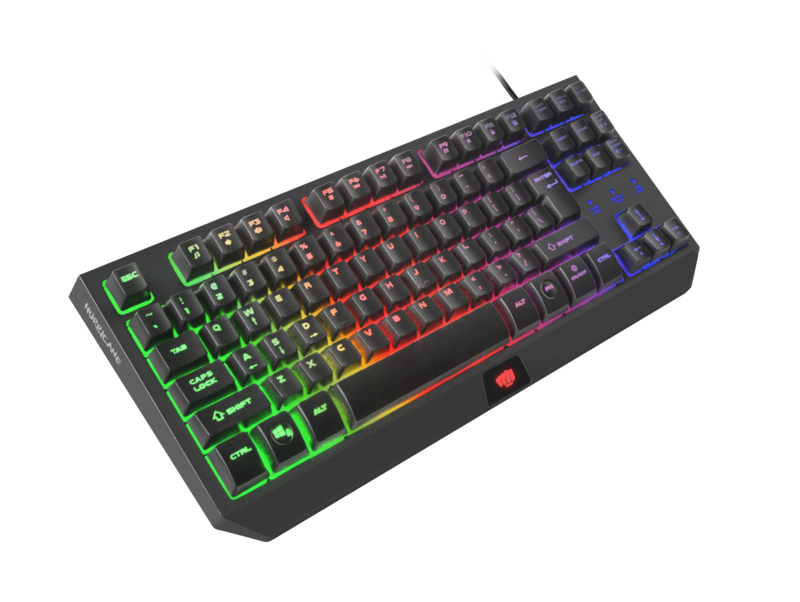 The keyboard is also equipped with arrow function change WASD with the use of which you choose your own preferred gaming style. Anti-Ghosting is an important function for every player. In the Hurricane keyboard, the version for as many as 19 keys was applied, thanks to which we can successfully use even the most complicated combinations of keys during the game. Now, even while pressing a few keys at the same time, the game won’t freeze or the device block. Another advantage of Fury Hurricane is the possibility to block the Windows key, which prevents the annoying situation when we exit the game to desktop. In gaming, convenience is as important as functionality. Hurricane was equipped with such solutions as cable organizer or foldable legs. 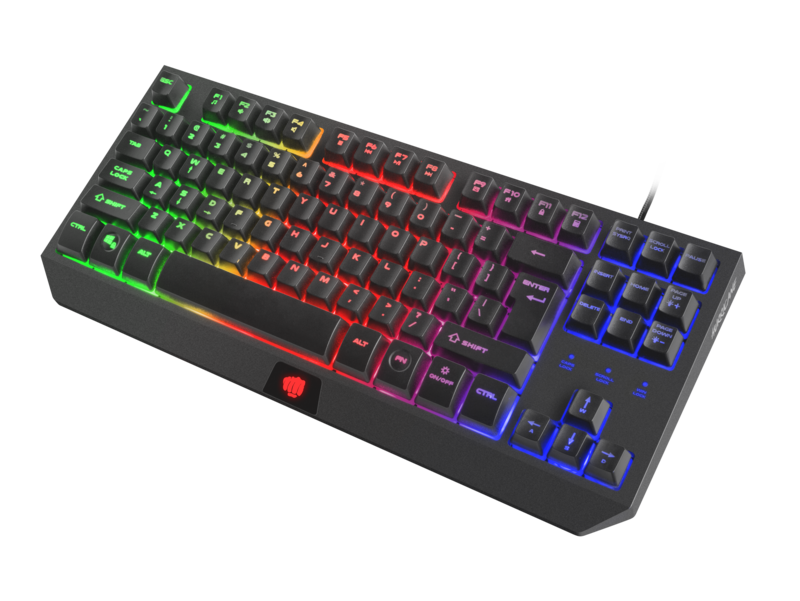 The keyboard also includes multi-color illumination with the possibility to set one of the three brightness levels (33%, 66% and 100%) or to turn the illumination off completely. Now even night game will constitute a pleasure.